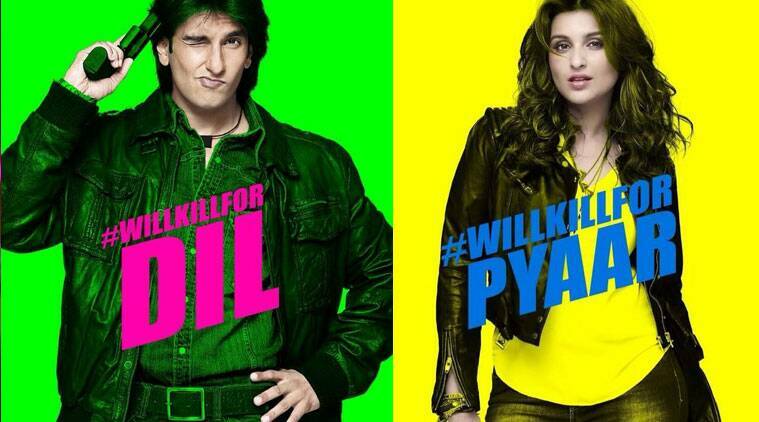 Ranveer and Parineeti are seen sporting rather quintessential avatars in the first posters of 'Kill Dil'. Ranveer Singh and Parineeti Chopra are seen sporting rather quintessential avatars in the recently released posters of their much-awaited movie ‘Kill Dil’. Parineeti too sports a leather jacket with a pair of black leather pants and she #WillKillForPyaar. The whole look seems rather interesting with the intrigue created with these punchlines. The title of the movie has been inspired by Hollywood movie ‘Kill Bill’. Directed by Shaad Ali, the movie also stars Govinda and Ali Zafar in pivotal roles.